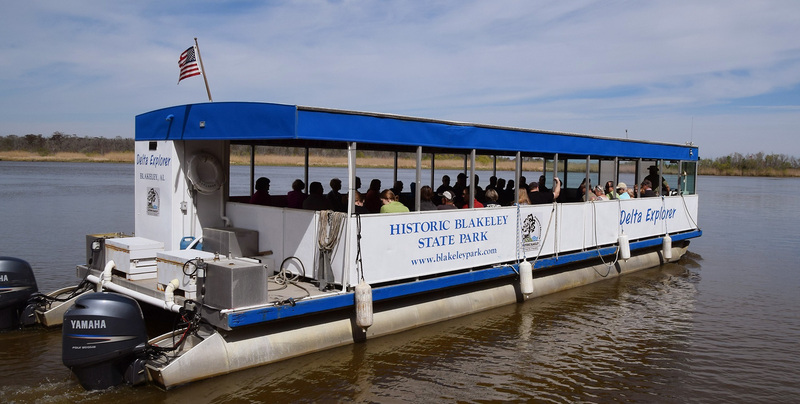 Nobody knows the waters of the scenic and historic Mobile-Tensaw Delta better than the licensed captains of Historic Blakeley State Park's Delta Explorer! The park is the lower delta's longest-running boat tour operator and offers regular excursions into what is referred to by many as one of America's natural wonders. We invite you to journey with us by boat through these tranquil waterways and discover this incredibly diverse ecosystem. 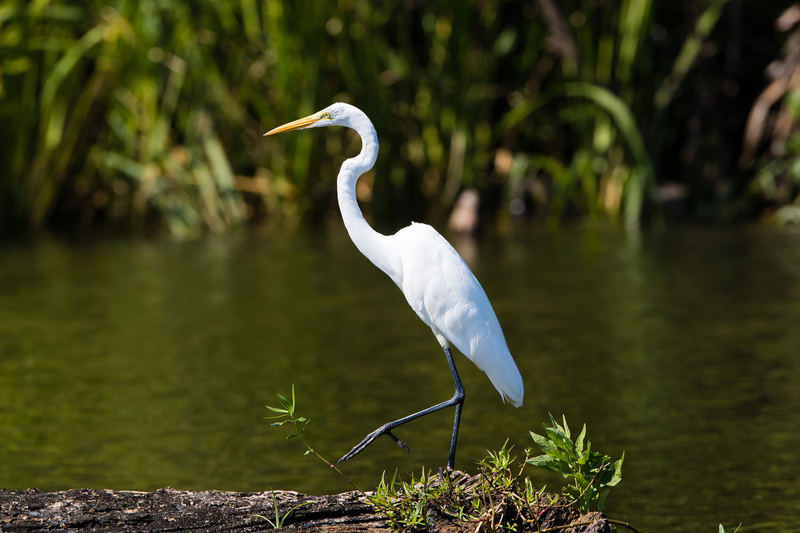 Here you will find a variety of wetland habitats that are home to the state's largest population of alligators, black bears, the rare red-bellied turtle, ospreys, bald eagles and numerous species of fish. Multiple guided cruises explore this stunning natural habitat along with nationally important historic sites, including locations associated with the Civil War's “Mobile Campaign,” and the modern Port of Mobile, one of the nation's busiest harbors. Experience it all from the comfort of the Delta Explorer. The U.S. Coast Guard-licensed covered boat features bench seating and a restroom facility and is handicapped accessible. 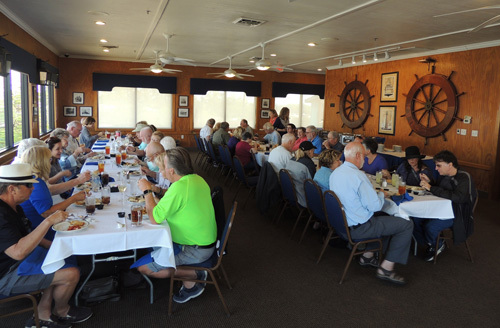 For a listing of current cruise offerings, please check our events page. Charter tours leaving from the park dock are available anytime for a minimum of $700 guaranteed tickets at standard rates. Other charter tour options are available at varying rates. 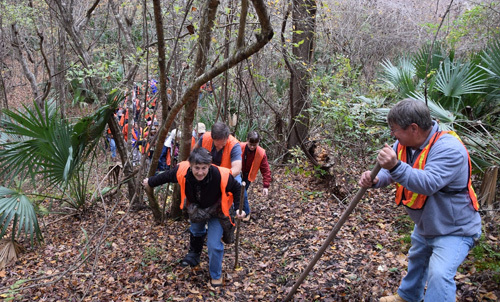 For more information, call the park office at 251-626-0798. This two-hour excursion showcases the incredible beauty and natural diversity of the Mobile-Tensaw Delta. Every one of these outings takes a slightly different course and features unique opportunities to view the abundance of the delta wildlife, such as eagles, ospreys and, of course, alligators. 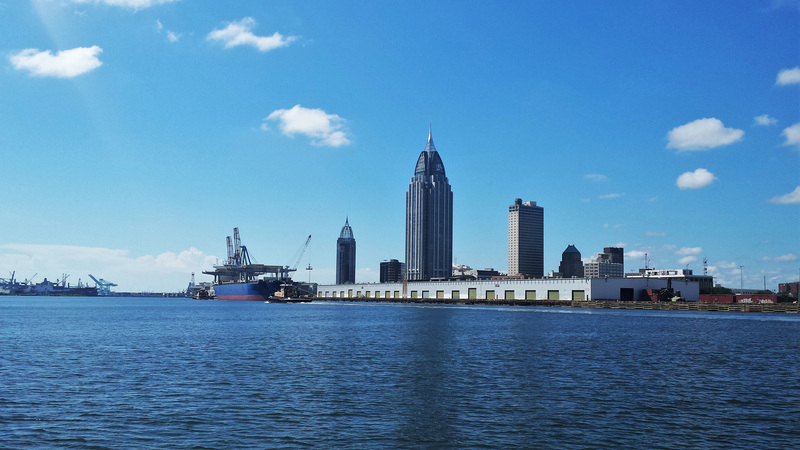 This cruise winds through the scenic delta and down the historic Mobile River for a relaxing voyage through the Port of Mobile. Along the way on this three-hour excursion, we explore one of the nation's busiest harbors. Guests will enjoy a rare waterfront view of all the activity at the state docks and within the larger port, then return along the head of Mobile Bay. A unique narrated voyage of discovery exploring the major battles of the Civil War's “Mobile Campaign” from the rivers along which its major actions took place! 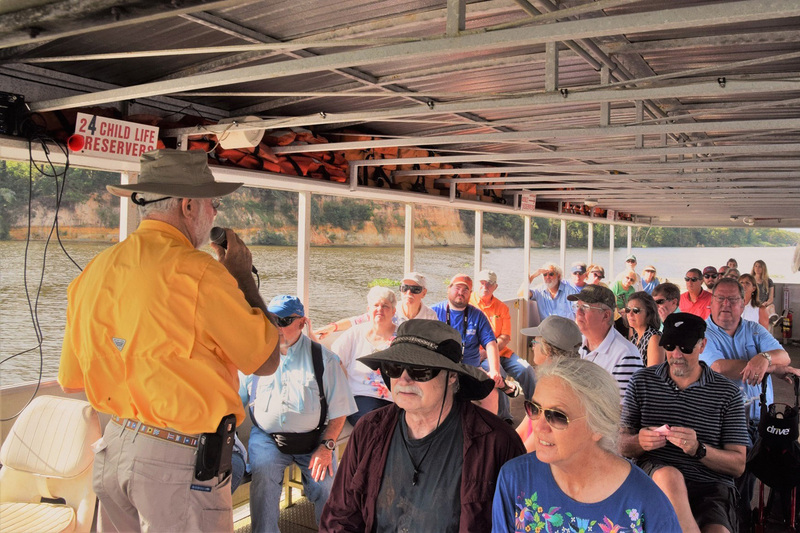 In addition to discussing the battles of Fort Blakeley and Spanish Fort, guests will learn about the numerous Confederate and Union warships which vied for control of area waterways during the Civil War's last major campaign. 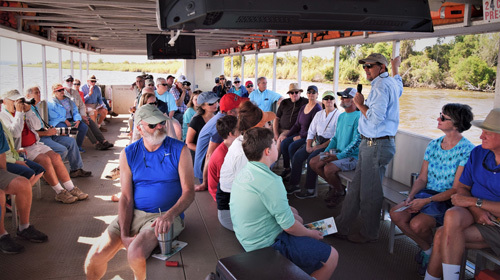 A special sightseeing cruise through one of the nation's most diverse ecosystems combined with a fabulous seafood lunch at one of the Mobile area's favorite restaurants! Times and itinerary vary; please check schedule for listings. Experience the beauty of a glorious sunset on Mobile Bay during a relaxing excursion down the waterways of the lower Mobile-Tensaw Delta. 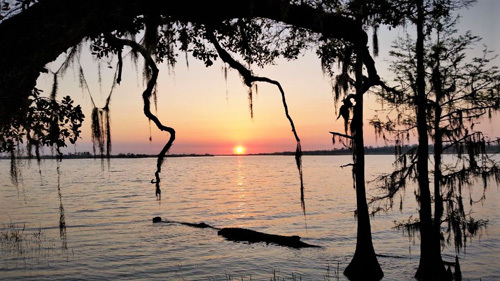 Departing from the Blakeley dock, we’ll take a late afternoon cruise to the head of Mobile Bay and enjoy the stunning views of the setting sun and the cool bay breeze before returning upriver. The stunning Bottle Creek site, accessible only by boat, features 18 earthen mounds built centuries ago by Native Americans and was once of the largest communities in the Southeast. Guests may climb the tallest of the mounds, which rises some 45 feet above the delta marsh! This cruise offered in fall and winter. 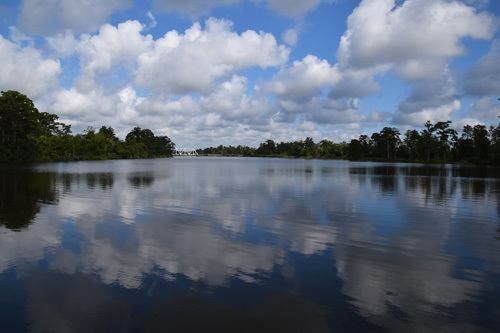 Remote Bayou Canot, located just off the Mobile River north of the city, was the scene of two of the most dramatic tragedies in regional history: the derailment of Amtrak’s “Sunset Limited” in 1993 and the last documented importation of African slaves into the United States in 1860 aboard the Clotilda. Come along with us as we venture deep into the delta to discover more about these remarkable, yet somber events and their enduring significance. Drawing on his many books on area history, especially The Mobile River and These Rugged Days: Alabama in the Civil War, popular local historian and park friend John Sledge guides us on spring and fall cruises exploring the historic waterways of the delta and the venerable port city of Mobile. Other special trips are offered on occasion. Please check our events page for our current schedule!